Columbia Falls, Montana – With the release of its new patent-pending Caliber Matched Gas System (CAMGAS) barrels, PROOF Research has eliminated the issues traditionally associated with building 6.5mm and .260 rifles on 308AR/AR-10 platforms. Until now, AR-variant shooters looking for ballistic advantages from either of these calibers were faced with excessive bore pressures that necessitated makeshift solutions such as clipping buffer springs, adjusting buffer weights, and/or relying on adjustable gas blocks, to keep their rifles functioning properly. In recent years, 6.5mm Creedmoor and .260 Remington have become increasingly popular in long-range shooting competitions. The .260, in particular, represents an outstanding caliber for a military counter-sniper role—out to roughly 1,000 meters—in smaller- to mid-sized weapon systems. It offers exceptional accuracy and superior ballistics over the ubiquitous .308 while dishing out substantially less recoil and enough energy to make it a legitimate contender for military and law enforcement applications. PROOF Research currently offers Caliber Matched Gas System barrels chambered for 6.5mm Creedmoor and .260 Remington in three separate lengths: 20, 22, and 24 inches. 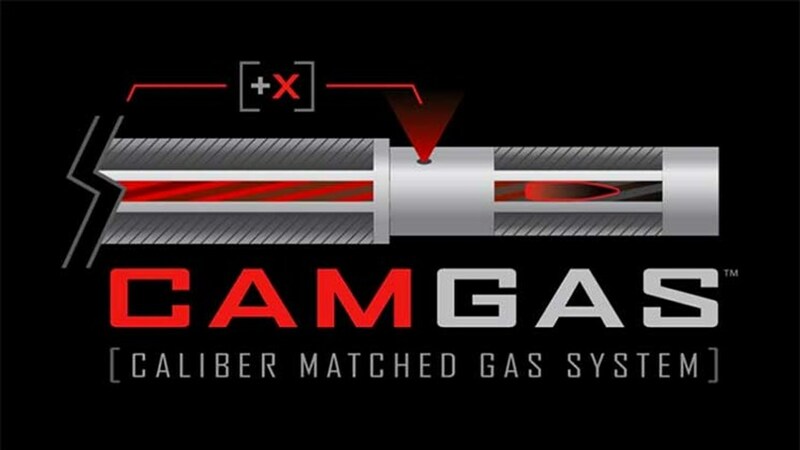 Every CAMGAS barrel comes standard with an easy to install custom-length gas tube. To learn more about customizing your larger-frame AR with a smoother-shooting PROOF Caliber Matched Gas System barrel, visit proofresearch.com or contact PROOF Research at info@proofresearch.com or (406) 756-9290. PROOF Research is a science-driven defense/aerospace company, based in Northwest Montana, committed to developing next-generation materials and composites to produce carbon fiber barrels and weapons systems that lighten warfighter load while increasing durability and effectiveness. PROOF Research’s goal is to make reduced weight, unsurpassed durability, and match-grade accuracy a reality for all of its customers. Headquartered in Columbia Falls, Montana, PROOF Research maintains sales and manufacturing centers in Montana and Dayton, Ohio. For more information, please visit the company’s website at www.proofresearch.com. AR-10® is a registered trademark of ArmaLite, Inc.